was a legendary ancient Sassanid port..."
I have read parts of Prof. Hadi's book on Persian Navigation with great interest and profit. Besides the innumerable Persian, Arabic and Chinese sources, he has utilized all the available sculptural, pictorial and numismatic material in establishing the conclusion that whilst the land empire of the Sassanids perished with the fall of Yazdigird the maritime activity of the Persians continued till the Caliphate of al-Mutawakkil, when it began to be displaced by the Arabs. The author's great capacity for sustained work, his infinite patience in sifting the details of evidence, and above all his youthful enthusiasm for the subject of his study - all this is abundantly clear from the remarkable work that he has produced. I have no doubt that Prof. Hadi's work is a very important contribution to modern historical research relating to Persian antiquities. It is needless to add that Prof. Hadi is a brilliant Persian scholar from whom yet greater things are expected. Poor creatures. They have spent all their lives chained inside a cave. Behind them is a raised pathway from which people pass, carrying goods to the marketplace. Further behind is a fire. In front of the bonded cavemen is a wall on which the fire casts shadows of the walkers. The cavemen think that these shadows are the real things, since their painful position does not allow them to turn their heads or look them. Now, suppose, one of them was freed from his chains and got a chance to see the real people, or even to walk outside the cave and catch a glimpse of the world outside? This is the allegory of the cave, written by the Greek philosopher Plato (423 BC to 347 BC) in the fourth century BC in his famous book, The Republic. While writing the third, fourth and fifth books of Iqbal's biography, I am becoming increasingly aware that in a manner speaking the entire philosophy of Iqbal is an intellectual revolt against this allegory and its implications. It seems to me that the mission of Iqbal was to rid the literature of the world, especially of the East, from the influence of Plato - strange? I am trained to be a historian. So, while Plato was a great philosopher, I would leave his philosophy for others and only attempt to highlight its historical context. Iqbal's basic statement on Plato is that his philosophy was a Greek reaction to the crushing defeat at the hands of Persians. Representing a nation which had given up hope of winning in the battlefield, Plato invented a system of thought that could work like a virus. It could weaken the strength of the conquerors by teaching them that the real world was unreal. So, according to this argument, Plato was a kind of Trojan horse: take his ideas home, and they shall niggle you from the inside (see 'Secrets of the Self' for more details). Unfortunately the history of ancient Persia is almost lost - it has come to us mainly in the form of fragments written by its adversaries. As such we do not possess enough documentation for deciding whether the Persian contemporaries of Plato ever imported his ideas. However, there are a few interesting connections which may be noted. I shall visit them in the next post. First, let's take a quick look at the philosophy of Plato from the perspective of Iqbal and notice its relevance to the political situation of the day. Almost a century and a quarter before the birth of Plato, the great Achaemenid Empire came into being in Persia in c.550 BC. It became the largest empire known to history by that time, stretching from Egypt to Pakistan, and from Central Asia to the Persian Gulf. It entered into conflict with the Greek city-states, which eventually resulted in the sacking of Athens by the Persian emperor Xerxes in 480 BC. However, the Persian fleet was subsequently defeated in the Battle of Salamis soon afterwards. This may have given a breathing space to Greeks, and perhaps also restored their confidence. However, a curious development that took place around this time was that the Persians shifted their focus from conquest to culture. The lasting monuments of the empire were built around this period, and they betray some cultural influence from the Greeks: for instance, one cannot miss an ironic similarity between the surviving pillars in the ruins of Persepolis and the architecture of ancient Athens. Is it possible that at this point in time, which was just before the birth of Plato, Persians had actually become open to cultural influences from the lands which they had conquered or defeated? This is a question which shall be revisited later. Can we be permitted to place the allegory of the cave against this backdrop? Plato's own interpretation was that the humanity in general was like those captives chained in the cave: the world which appeared "real" to us is not unlike the shadows cast on that wall. The real things are "ideas" of archetypal forms, just like those real people whom the cavemen cannot see walking behind them because their chains do not let them turn their heads. Philosopher is someone who breaks free of this physical world - the shadows - and thereby gets to see the real world - the world of ideas or forms. Therefore, Plato argues, nations should be ruled by "philosopher kings". We should not have democracy because the unthinking masses are not unlike those cavemen who cannot tell the shadows from the real things. This political implication of the parable itself betrays a sense of inferiority complex on part of Greeks in front of Persians. Greek states at that time were usually democratic, one way or another. They took great pride in being democracies. 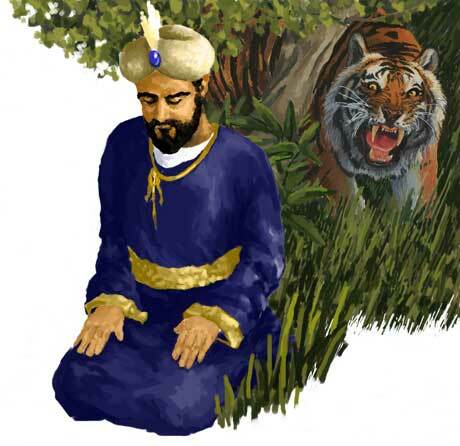 The Persian Empire was ruled by "the King of all kings" - shahenshah. Perhaps it is not too much to say that in debunking democracy in favour of enlightened monarchy, Plato was revealing a tinge of preference for the Persian way of government over the Greek model. Although I must add quickly that in my opinion Plato failed to understand the basic point about Persian monarchy, and the insight of the great founder of the Achaemenid Empire, as I shall try to show later. For now, let's conclude this post on this note: while Plato may have invented his allegory in order to illustrate a philosophical point which he had in mind, we know very well that the motifs we pick up for constructing our stories invariably betray the working of our unconscious minds. If we apply the same principles of historicity which is usually applied on any literature of the world, the allegory of the cave can also be interpreted as an allegory about Greeks and Persians. The cavemen chained inside their caves were Greeks living in their rough mountainous terrains while the world outside was the great Persian Empire: the real thing. The quest for understanding the Persian Empire - and acquiring wisdom about the sources of its astounding political power - had been on the minds of most thinking Greeks ever since the Achaemenid Empire came into being. Just a generation before Plato, Herodotus (c.484 BC to c.425 BC) had practically invented a new subject - "History" - for that purpose. The first line of the famous work of Herodotus, written seven years before the birth of Plato, could be translated as: "Herodotus of Halicarnassus,, his Researches [Histories] are here set down to preserve the memory of the past by putting on record the astonishing achievements both of our own and of other peoples; and more particularly, to show how they came into conflict." It is quite possible that Plato also shared that purpose but while Herodotus had tried to achieve it by collecting facts, Plato embarked on the more dangerous business of pure speculation and hence came up with the idea of a "philosopher king" which Iqbal considered so important to be debunked. Is the idea of a "philosopher king" really so bad? Well, to begin with, the Quran also has its own role model of an ideal king. The Quran refers to him as Zulqarnayn. Modern scholarship has identified him almost conclusively as (hold your breath) Cyrus the Great, the founder of the same Achaemenid Persian Empire which was ruling the world in the days of Plato. The chapter of the Quran in which this ideal king is described is called (and please hold your breath again): 'The Cave'. 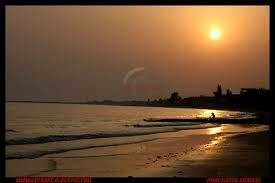 I shifted to UK in October last year and I am likely to remain here for a few more months. This period has been very formative in my life in ways that I had not expected. Being away from my own society provided me an opportunity to sort out my thoughts "in isolation" and without "influences". Hence I am writing this post in a personal voice to share a few conclusions upon which I have arrived in these few months, and some plans which I have made for myself. I am now convinced that the root of all our problems in Pakistan is that we do not know our history. To some extent this is also the major problem for the whole world. Things happened so fast after the Second World War that the academic world failed to keep pace with the changes that were taking place. Well-known words changed their meanings quickly and the result was that things which meant something else yesterday suddenly came to mean something very different the next day. I shall give only one example: democracy. In the days of Iqbal (1877-1938), it had two meanings. 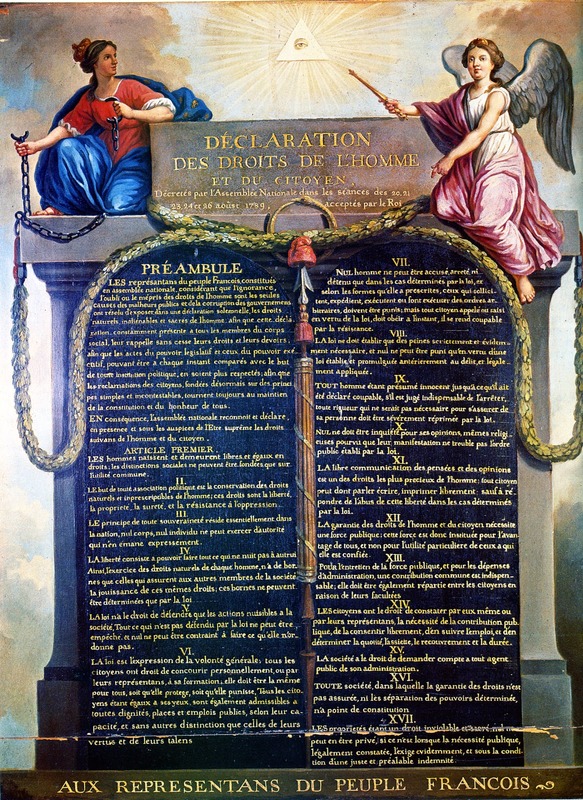 In the first instance, democracy meant a government chosen by the people (as it means now). 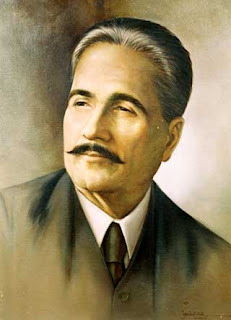 In this sense of the word, Iqbal considered democracy and Islam to be almost the same thing - in practically every prose writing from 1908 onwards, Iqbal praised democracy and went to the extent of saying that the British Empire in 1909 was the greatest Muslim state because it was fulfilling the Islamic ideal of promoting democracy! However, the other meaning of the same term was a state who follows its territorial interests as its only ideal and defines itself by its territory rather than by any higher ideal. 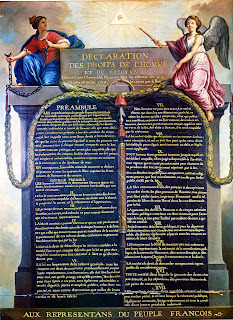 This connotation of democracy was due to the historical evolution of democratic governments in Europe where secularism, territorial nationalism and democracy evolved simultaneously and very often it was difficult to separate one from the other. This was the concept which Iqbal found unacceptable and criticized it unrelentingly. In this criticism, he often used the word "democracy" to mean all these negative things, but this usage was usually restricted to his Urdu poetry (and I think that this was because his Urdu readers were more "aware" of the democratic ideals of Islam than the readers of his English writings). Consider this example, and then see how in Pakistan and elsewhere Iqbal has come to be seen as someone who was opposed to the idea of democracy! What can we say to such confusion? Has it been created deliberately by people who knew too much, or has it been spread by mediocre scholars who didn't know what they were talking about? I am afraid that the answer lies in those pages of recent history which have never been presented before the public. So, the first major aim which I have now adopted for myself is to complete my six books of Iqbal's biography in Urdu. Books One and Two have already been published by Iqbal Academy Pakistan. Book Three is now ready and I hope that it is going to be published by Iqbal's death anniversary this year on April 21. I am now working on books Four and Five, and I hope to finish them within a few months. These books are more than a biography of Iqbal. I hope to make them nothing less than a history of the Pakistani nation - as never told before. I shall be writing more about this subject on this blog. The second major aim which I have for this year is to expand the outreach of those online courses in Iqbal Studies which started last year. The response from participants of these courses has been so encouraging that I am compelled to believe that this is an area in which we should all combine our efforts: the courses have not only interested Pakistani audience but even so many from abroad. This is also something about which I shall be writing more - but quite possibly on the other blog, Marghdeen Learning Centre, which has been set up for these courses. These are my two aims for now: to present a comprehensive history of Pakistan through the biography of Iqbal and related works, and to expand the outreach of online courses in Iqbal Studies. I request all my friends and well-wishers to support me and join me in this effort. Lesson 3.4 in the online course 'Self-Development through Iqbal' is about "the World of Quran" as explained by Syed Jamaluddin Afghani in the second chapter of Iqbal's Javid Nama (1932). Quite understandably, participants like it very much: they all seem to like the notion that a world of Quran is coming into being in our times, and so on. I seriously wonder if they would still like it if they knew what it actually meant. To begin with, the text says that the World of Quran lies in the hearts of Muslims. In our times we have come to presume that "Muslim" in this sense only refers to "practising Muslims" or perhaps only those Muslims which fit our definition of what a good Muslim is, and they would be very few at least by our standards. The rest of the Muslim nation, or at least the majority of Muslims in any case, are not deserving of the label "Muslim" according to us, and therefore the World of Quran does not exist in their hearts. Quite the contrary. Iqbal's usage of the word "Muslim" in this sense included the sinners and the deluded too. Throughout his life he insisted that the consensus of the Muslim community should be binding on all its individuals - and he did not exclude any Muslim from this as long as they believed in the Unity of God and the finality of the Holy Prophet (peace be upon him). In 1931, when he was leaving for the Round Table Conference, he was asked by a journalist what would he do if all Muslims gave up separate electorates and decided in favour of join electorates. Now, Iqbal believed that giving up separate electorates would mean the end of Islam in India but his answer was that although he is quite sure that Muslims would never give it up, but if they do, then he would happily follow the unanimous decision of his nation. Can we expect any of our religiously-inclined politicians to say this? Or our liberals and progressives? No, the irony is that the leadership which emerged soon after the birth of Pakistan, whether religiously inclined or secular, has been insisting that its own ideas are the best and whoever doesn't agree with them is either misinformed or dishonest and their opinions should not be regarded. As long as we take this position, no new ideal can be discovered because we are essentially imposing our pre-discovered ideal on the nation rather than giving it a chance to show us something which we do not already know: a "new world" emerging out of the hearts of those who, whether saints or sinners, are chained together by the love of their Holy Prophet (peace be upon him). Young people often ask me how they should start if they want to follow Iqbal. In my humble opinion the first step is to acknowledge this difference which exists between Iqbal's perception and our own. You do not have to change your position at once. Give it a thought and even feel free to reject it. But at least know that this difference exists. That is the first step, or else you would be rowing your boat in a mirage: you were born in a veil and would die without ever having lifted it. It is not merely by receiving and intellectually shaping the impressions, but mainly by moulding the stimuli to ideal ends and purposes that the total self of man realizes itself as one of the greatest energies of nature. In great action alone the self of man becomes united with God without losing its own identity, and transcends the limits of space and time. Action is the highest form of contemplation. According to the tenets of Islam man is essentially good and peaceful – a view explained and defended, in our own times, by Rousseau, the great father of modern political thought... 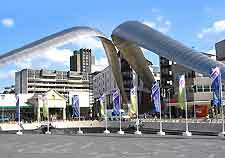 The possibility of the elimination of sin and pain from the evolutionary process and faith in the natural goodness of man are the basic propositions of Islam, as of modern European civilisation which has, almost unconsciously, recognised the truth of these propositions in spite of the religious system with which it is associated. I am not going to argue whether Noah and Abraham were historical figures or not (although I personally believe that they were). Here I just want to share a single observation: the portrayal of these characters in the Quran makes it possible to observe a very interesting difference in their presentation of a common message, and I presume that this difference might be meaningful. So just because he was human and people from the lowest classes subscribed to his ideas, those ideas could not be true? This is the kind of thinking which fails to make logical connections between things because it cannot rise above personal likes and dislikes. To this type of mind, Noah responds by appealing to the appreciative self rather than the efficient self. He tries to show them that although it seems to you that your logical mind is accepting or rejecting evidence, the truth is that your heart and your will have already told your minds what should be accepted as convincing and what should be rejected: “My people, think: if I did have a clear sign from my Lord, and He had given me grace of His own, though it was hidden from you, could we force you to accept it against your will?” (all above quotations are from Chapter 11 of the Quran). This is a remarkable dialogue: an appeal for temporarily suspending the judgemental efficient self, so that one may sink deep into the holistic appreciative self. Essentially, the message of Noah can be summed up as this: trust your deeper self to be correct about the external world. It is quite significant that the society whose elite rejected this call met its nemesis in a natural disaster about which an early warning had been received through intuition. The masses had paid heed and were saved; the elite denied and perished. The writers of The Epic of Gilgamesh presented the Great Flood as a vengeful act of whimsical deities but the Quranic version makes it possible for us to interpret the event as a "reminder" about the natural consequence that would probably arise whenever people make the kind of mistake which the elite made in those times. The message of Abraham is also the Unity of God, but civilization seems to have moved on a bit and this development is reflected in the dialogue ascribed to Abraham in the Quran. 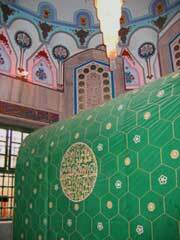 The Quran offers anecdotes from various phases of the career of Abraham. Interestingly, in almost all glimpses from his early life we find him engaged in arguments, and in every argument his opponents are denying the evidence of sense-perception: the idol-worshippers of Ninenvah ascribe divinity to idols, stars, moon and sun; and the king (possibly Nimrod) claims divinity for himself because he thinks that he has the power to “grant” life and death just like God. Hence, the arguments presented by the opponents of Abraham can be understood as a misrepresentation of the message of Noah. It is almost as if the followers of Noah had set up a civilization based on his message that intuition could be trusted. Then, in the course of time, they forgot that sense-perception also had a role to play. This mental lethargy has made a mess of the whole point about connecting with one’s inner self. Now injustice is being perpetuated in the name of esoteric wisdom. Quite understandably, a poetic appeal to the evidence of sense perception is the common strand in Abraham's dialogue with all these opponents: he rejects idols because they cannot hear and speak; he argues that the celestial bodies could not be gods because they go down; he denies the divinity of the king because the king cannot change the course of the Sun. Thus in the transition from the message of Noah to the message of Abraham, civilization comes full circle. Noah had shown that the reports of our deeper self could be true about the external world. Abraham preached that the evidence of the external world could also be true about our souls. 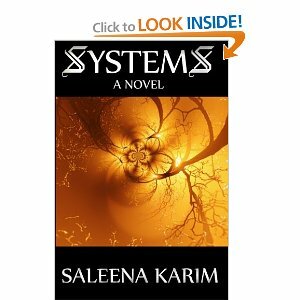 I'm delighted to announce the release of my novel, Systems. Many of you will have heard me mention that I've been working on it for a long time; others of you won't have known anything about it. But it's finally done, and it went into print on 14 January, exactly two years before the key characters of the novel ... well, die. You'll find the blurb and all other details at our new site: libredux.com (as I mentioned in my last message, CB now redirects to a portal). In addition (after many years) I'm starting - or, I should say, re-starting - a blog for the new book. Here I will be explaining the philosophical content of the novel, how it links to some things that Dr. Muhammad Iqbal said a century ago ... and of course, the theorem. And finally, some requests: 1) Please forward this email to everyone you know. 2) Even if you don't normally read fiction, make sure you buy and read this book - especiallyif you are in agreement with things I have said in SJ2. 3) And please post your (honest) reviews on Amazon. This will help me more than you know. The truth is that Islam looks upon the universe as a reality and consequently recognises as reality all that is in it. Sin, pain, sorrow, struggle are certainly real, but Islam teaches that evil is not essential to the universe; the universe can be reformed; the elements of sin and evil can be gradually eliminated. All that is in the universe is God’s, and the seemingly destructive forces of nature become sources of life, if properly controlled by man, who is endowed with the power to understand and to control them. These and other similar teachings of the Quran, combined with the Quranic recognition of the reality of sin and sorrow, indicate that the Islamic view of the universe is neither optimistic nor pessimistic. Modern psychometry has given the final answer to the psychological implications of Buddhism. Pain is not an essential factor in the constitution of the universe, and pessimism is only a product of a hostile social environment. 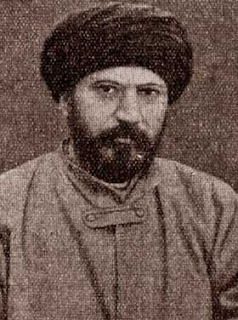 Islam believes in the efficacy of well-directed action; hence the standpoint of Islam must be described as melioristic – the ultimate pre-supposition and justification of all human effort at scientific discovery and social progress. Although Islam recognises the fact of pain, sin and struggle in nature, yet the principal fact which stands in the way of man’s ethical progress is, according to Islam, neither pain, nor sin, nor struggle. It is fear, to which man is a victim owing to his ignorance of the nature of his environment and want of absolute faith in God. The highest stage of man’s ethical progress is reached when he becomes absolutely free from fear and grief. The central proposition which regulates the structure of Islam, then, is that there is fear in nature, and the object of Islam is to free man from fear. There are several ways of reading the Reconstruction. Firstly, it may help to remember that it's a very strange book. I do not remember how many times I must have read it from cover to cover - and i have got three different copies of the Reconstruction filled with my notes on the margins - but even then, somebody quotes a passage from it and I feel as if I have never heard it. I look it up, and I realize that it now means something entirely different from what it seemed earlier. So, it is a book which keeps changing its meanings according to our states of mind. I think that is its purpose, too. 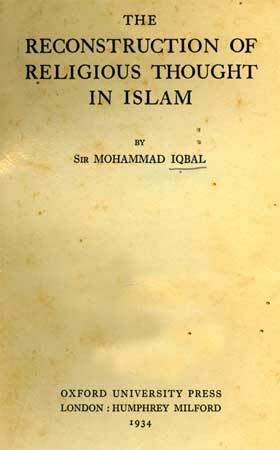 If you find difficulty understanding this book, do not think that this is your problem alone: Iqbal had the same problem too. His student Syed Nazeer Niazi, who started translating the book into Urdu soon after its publication, has written that sometimes he would ask Iqbal about the meaning of a certain passage and Iqbal would look puzzled; and say that he himself cannot fully explain the meanings of certain passages and doesn't remember in what intuitive mode he wrote them. I have found that there are three best approaches for reading this book. The first is to read it as if it was a book of quotations. Browse through it, mark anything which you find interesting and consider it the reward for the day. Spend a good deal of time reflecting on it. Another approach could be to quickly determine what is the basic purpose of a lecture - its theme. Then link everything else in the lecture to that theme or purpose. Third approach, well, is to read it as a commentary on Javid Nama. You will see that the seven lectures of the Reconstruction are parallel to the seven chapters of Javid Nama. Try to compare each chapter of Javid Nama with the corresponding lecture in the Reconstruction, and see what you get. By the way, go to the last page of the Reconstruction: what are the two last words in that book?